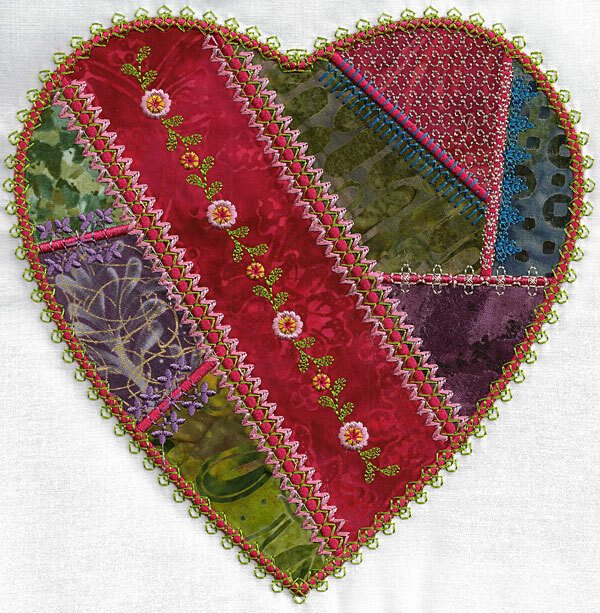 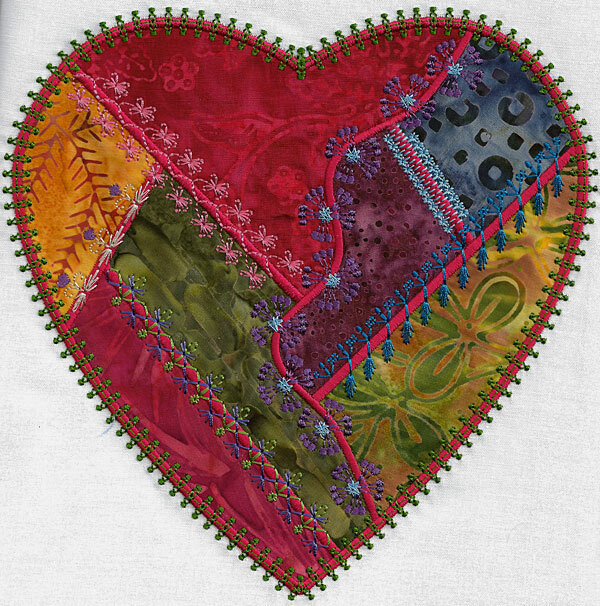 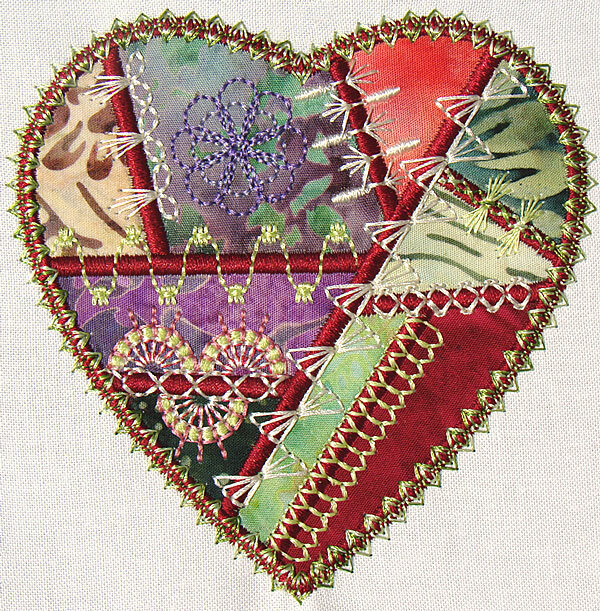 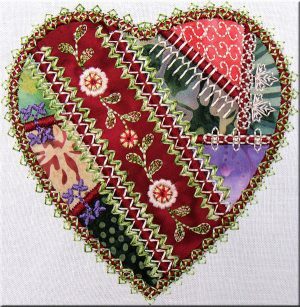 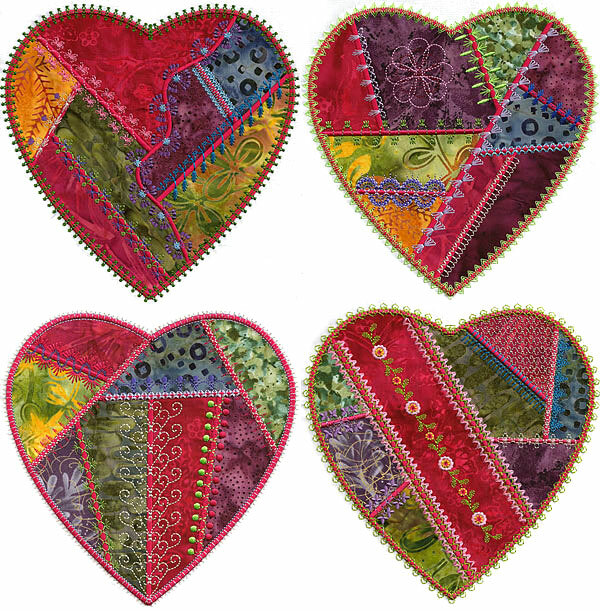 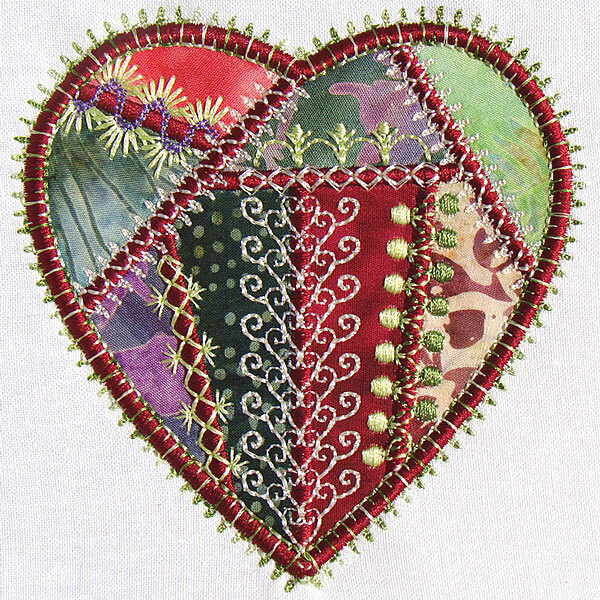 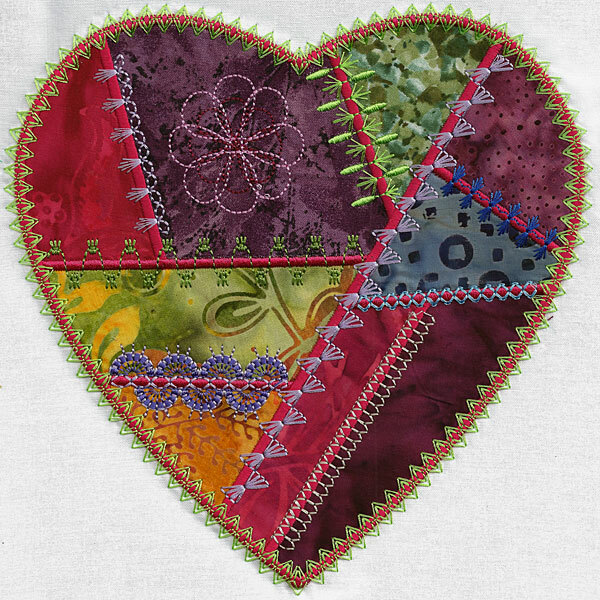 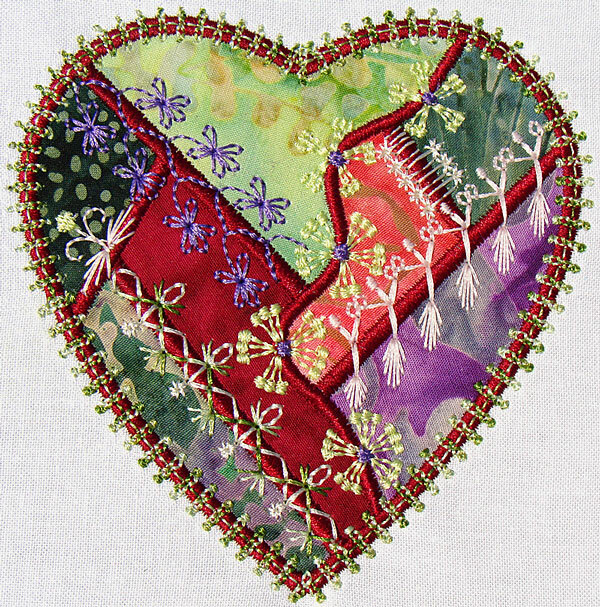 Crazy Quilt Heart Designs for Machine Embroidery! 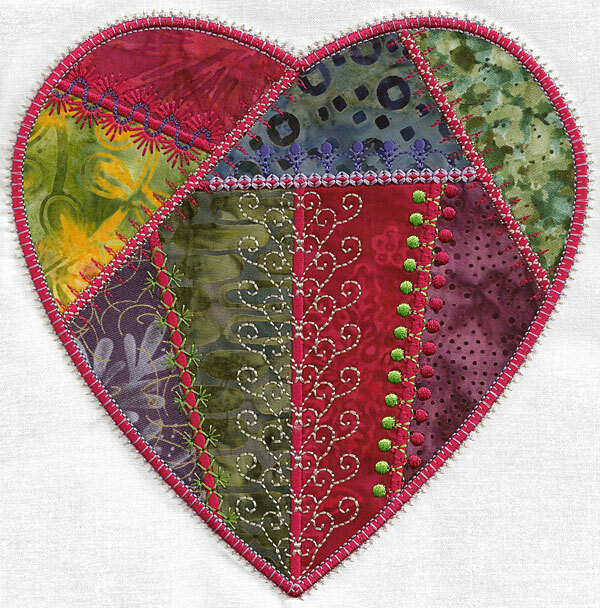 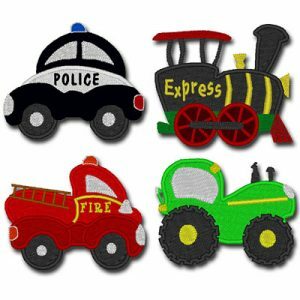 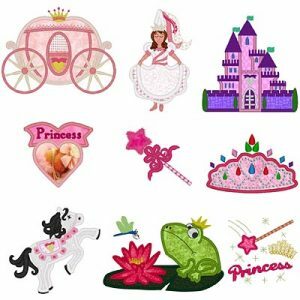 A whole series of heart shaped crazy patch applique with original custom digitized motifs you won’t find anywhere but Molly Mine! 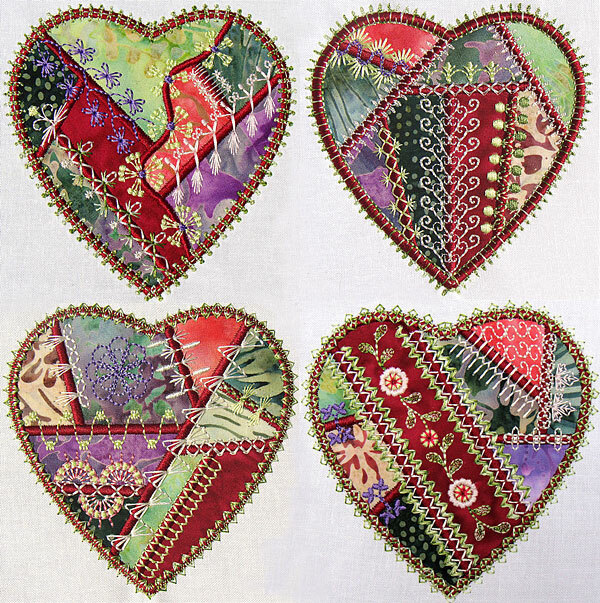 This set has more motifs but the good thing about that is you can use them all or just pick the ones you like. 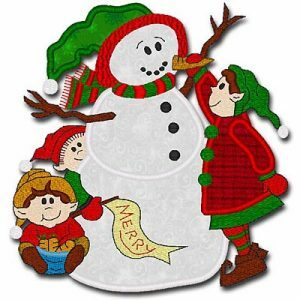 Make it as busy or simple as you like! 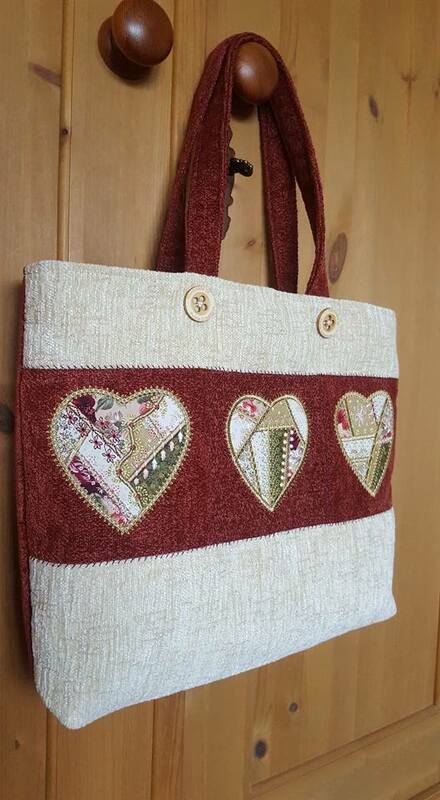 Cathy Harrison made this amazing bag using this set!